In a recent survey, 73% of pricing managers reported that it was more difficult to set and hold pricing. Not surprising in a world of margin pressures and shrinking budgets. The same survey reported that customers had become much more aggressive in seeking pricing concessions, and their procurement people more adept at doing so. As we come out of the recessionary environment in many world markets, pricing professionals find themselves with an opportunity to grab “a seat at the table” by developing partnerships across their organizations and stressing the strategic nature of pricing in rapidly evolving environments. 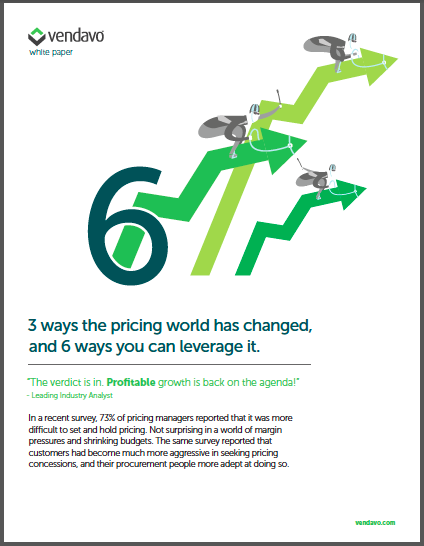 Download this whitepaper to find out how the pricing world is quickly evolving, and how you can take advantage of it.